Our WELL AP Exam Prep Course covers all the bases to help you pass your accreditation exam. The course provides an introduction to WELL and the WELL certification process, and covers all 7 WELL concepts, WELL features and requirements, and extensive exam tips. 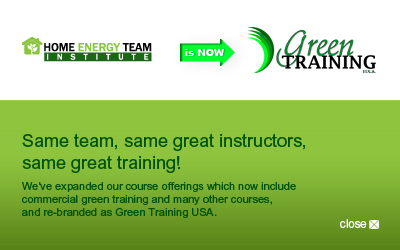 Developed and delivered by one of the green building industry's foremost experts, this engaging multimedia course includes practice exam questions, as well as phone and email access to an instructor to answer your questions. Available 24x7 anywhere you have internet access - even on your phone! Go at your own pace, review and rewind as necessary. You're in control. Register today and prepare to become a WELL Accredited Professional (AP). 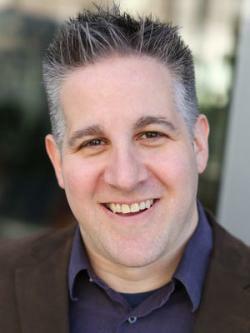 Eric Corey Freed is an award-winning architect, 11-time author, global speaker, and notorious comedian. He has lectured in all 50 states and in 7 countries. He also holds a prestigious LEED Fellow award from the US Green Building Council. Eric is considered a leader in the field; named "Best Green Architect" by San Francisco Magazine in 2005, as well as "Best Visionary" in 2007, and "Green Visionary" by 7x7 Magazine in 2008. In 2012, he was named one of the "Top 10 Most Influential Green Architects, " and one of the 25 "Best Green Architecture Firms" in the US. In 2017, he was named one of Build's American Architecture Top 25, and the following year, Fixr’s Top 200 Influencers in the Construction Industry. As a licensed architect, Eric brings over 25 years of experience in helping architects, builders and homeowners use sustainability to improve the design and operational savings for thousands of buildings around the country. Companies like Autodesk, Pixar, Apple and Lowe’s have hired Eric to help them incorporate deeper sustainability into their businesses. Eric is the author of 11 books, including "Green Building & Remodeling for Dummies", a bestseller with over 200,000 copies in print, and "Sustainable School Architecture." His how-to book, “Green$ense for your Home” won the 2011 Outstanding Book Award from the American Society of Journalists and Authors. Eric was Chief Community Officer at EcoDistricts, a nonprofit that helps cities and developers create regenerative, resilient and socially equitable neighborhoods for everyone. He served as Vice President of the International Living Future Institute, a nonprofit organization that developed the Living Building Challenge, a global, regenerative, deep green building standard. Eric has served on the boards & advisory boards of dozens of companies and non-profits, helping them get "unstuck" through strategy, planning, and implementation for next stage planning, while helping these organizations uncover new opportunities to raise funding, generate revenue, attract customers, and streamline operations through the lens of sustainability: return on investment, lifecycle costing, carbon accounting, social equity, and supply chain optimization. With our online WELL AP Exam Prep Course, you have all the flexibility you need to study when you want, where you want. Start the course now. Access it 24x7 from anywhere you have internet access - even on your phone! We know you're busy with work, family commitments and everything else in life - that's why we offer you the freedom of online exam preparation. You can study on your own schedule, whenever you have some time. Just log into your course whenever you have some time, stop when you need to, then pick it up right where you left off last time. Didn't understand something? Go back to review any content as needed. If you still don't get it, call or email an instructor for clarification. We're here for you, to help you pass your exam. Register now and enjoy the flexibility! 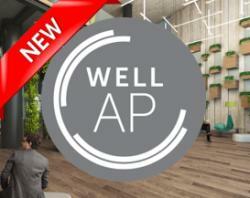 $465 for USGBC or ASID members, LEED APs or LEED Green Associates. * Fee for US residents. Fees may vary by country. Requirements: Candidates must be at least 18 years old. Format: 100 multiple-choice questions; Exams are computer-based. You have the option to skip questions, flag questions for later, and change answers. Time Limit: 2 hours (120 minutes). There is an optional 10 minute tutorial befoew the exam and an optional 10 minute exit survey. Scoring: A passing score is 170 out of 200. Your exam score will be displayed on screen at the end of the exam and you will receive a printed report of your results at the test center. Results Processing: Within 72 hours of your exam, your results will be processed, your account will be updated, and, if applicable, your badge will be updated in the usgbc.org People directory. You can download a copy of your certificate through your WELL Online account. Please be aware that if a candidate exits the exam for any reason, they must retake the exam and cannot continue the current exam. * The exam contains 15 unscored questions. There is no way to know which questions are the unscored questions. Download the WELL AP Candidate Handbook for more information about the exam.